These titles join the growing NES Online service, which already includes more than 30 other classics such as Super Mario Bros. 3, Metroid and Zelda II: The Adventure of Link. Are these the classic games you've been waiting to play on your Switch? Tell us below. I played Tsuppari Oozumou via an online emulator before. Pretty good game. Shame we're not getting English translations of unreleased NES games. Nice. 2 essential titles for the NES! A bit disappointed we are not getting 3 games in the West, but the games themselves definitely make up for it. SUPAH MARIO BRUDDAS 2 BABYYYYYYYY! THE KING HAS RETURNED!!!1!!1! Will be playing the Famicon app for Tsuppari Oozumou. Excited to try a new game! @Spidey-Scrub Game of the Year for 31 years straight. If Japan gets an exclusive 3rd game, so should the rest of the world. Even if it's not the same game, atleast give us something to make us feel like we're not getting jipped. I like the NES version of Super Mario Bros. 2, but I really would’ve preferred Miyamoto’s New Super Mario Bros. 2 ‘88 DX Advance 1.90 HD Final Remix and Knuckles featuring Dante from the Devil May Cry series for Nintendo 3DS and Nintendo Wii U. Both good and overdue additions (even if both have far superior updated editions with All-Stars and Nightmare in Dream Land) but I'll probably still continue to ignore the NES games. Also, what's everyone's bet on what game is going to get a secret special version this time? My bet is on Zelda 2, which will have Link starting out with full stats. Super Mario Bros 2, with the Power of the Turnips, i will punish you ! Good addition but why no multiplayer game, what's wrong with Bomberman 2? The slow drip is brutal. Bring on the SNES please! Finally! Im personally whatever on them only giving us 2 a month now, but these are essential!!! Great game choices!!!! Oh yeah definitely love these games, solid choices for sure. @Mrtoad You forgot about the new Funky Mode Ultimate++ Gold Edition. I guess it’s difficult for rookies. @patbacknitro18 I literally just maxed out Link and am on my way to the great palace. So much for hard work. I own these on multiple platforms so my enthusiasm is muted... but anyone who hasn't played these is in for a treat. They're essential bridges between early NES and what Nintendo would become. @Muddy_4_Ever Well except for Kirbys Adventure, that was one of the last NES games I believe. And with how amazing it's sprite work is you can tell it was pushing the NES. Great! But I wish they'd release more every month, because the drip feeding is so slow. I'd take one a week. Both are great games...but still only two Nes games a month...Please Nintendo step it up and bring in SNES games already! Yes! 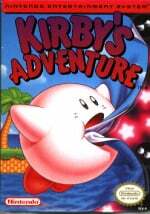 Been waiting for kirbys adventure since this launched! Still kinda bummed we're only getting 2 again, but it's been over 20 years since I last played SMB2 and I'm itching to play it again. 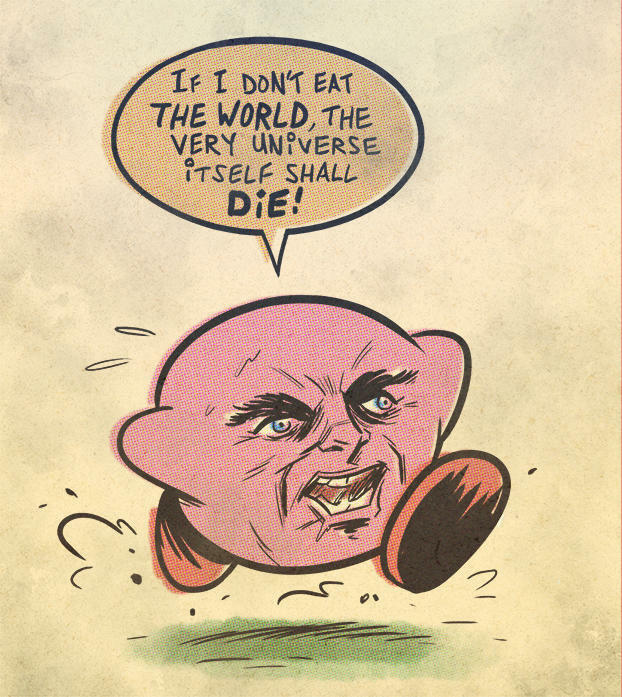 Kirby's Adventure is a masterpiece, too. 2 whole games per month. As much as I love super Mario bros 2, I was expecting more than this by now. They better have something big coming to keep their online service alive cause I know I won't be renewing my membership. Also, am I the only one who wishs they would release the NES Fire Emblem games worldwide on the NES app? They would make fantastic additions, and it would definitely be a treat for those who bought the service. Heck yeah! This is awesome! They are good games. But they are still just NES games. Playable on everything from the NES itself to a toaster. I really do hope we get games from more systems in the not-so-distant future. I have a soft spot for Doki Doki Mario and I will have the biggest grin on my face if Wart ever makes a return. Kirby's Adventure is late NES bliss whose technical prowess on 8-bit hardware can only be compared with 'those' Taito games. Neato. Was wondering when these two were going to be added, they were a little bit of an awkward omission. @Level_Up Those level backgrounds and the copy ability icons are the stuff of legend. Game's great, too. Seems like the Lost Levels would have been a good pairing with this release. BLAH BLAH BLAH! VIRTUAL CONSOLE! BLAH BLAH BLAH! GAMECUBE GAMES! BLAH! BLAH! BLAH! N64 GAMES! BLAH! BLAH! BLAH! SNES GAMES! BLAH! BLAH! BLAH! NES GAMES ARE GARBAGE! HEAPING GARBAGE! STUPID, DUMB DUMB DUMB, GROSS, GARBAGE! BLAH! BLAH! BLAH! PEOPLE WHO LIKE NES GAMES ARE UGLY, FAT, IDIOTS! BLAH! BLAH! BLAH! WE DON’T WANT FREE GAMES! BLAH! BLAH! BLAH! STOP MAKING US PAY $20 A YEAR! BLAH! BLAH! BLAH! DEDICATED SERVERS WITH BLACK HAT HACKERS AND DDOS! BLAH! BLAH! BLAH! ESHOP MUSIC! If this slow roll out continues I will not be renewing my online subscription after the year runs out. Make it like Apple Music or Amazon Music and just let us have access to the whole nes catalogue. It would take some shady rom site a half an afternoon to get that up and running, Nintendo has no excuse for taking this long. I’ve been playing these 2 games on the NES mini as of late. Great games. Disappointed we only get 2 a month for 2019, but I guess that's how it is. Waiting on Punchout! !, Star Tropics, Star Tropics II, Double Dragon II, Contra, Super C, Castlevania, and Castlevania III, then the NES app will be reasonably complete to me. Missing the TMNT games, but I don't think we'll see a legal version of those on this. Would love to see Contra on here. @Illusion Yeah shame we won’t see those TMNT Arcade Style Beat Em UPS. But that very first one 😣... ohh no. Nothing more frustrating than that piece of sh**. Why only two games for us in the West? Well, at least it's two of the best titles on NES this time. I don’t typically complain about things that are gaming related, but considering the bad press Nintendo has been receiving over NES games on Switch, you’d figure they wouldn’t rub salt in the wound by giving the West LESS games than Japan! It’s also surprising that they’re already drip feeding the drip feed! Three a month is already a low number! This is just pathetic why they constantly drip feeding us 2, or 3 games a month..
SNES please, I'm really bummed by Nintendo not improving the online at a faster pace. How about some Konami multiplayer too please! Mario 2 and Kirby! Finally! I’m so happy for Japan! They are much worthier than us. We are just filthy second class consumers that did Nintendo wrong. I mean. They payed for the online service, so did we... but we didn’t pay hard enough. We don’t deserve our third games. I guess I’m a failure and I don’t deserve to buy another year of Nintendo Online. My friends don’t play online with me like I thought they would anyway. It’s because I’m a loser. I bet if I was from Japan, I wouldn’t be a loser. I’d have lots of people to play with me. People with more than 2 games each month. I bet they even get more SP versions. I’ll just... turn on my Wii U I guess. Nintendo - let's give them 3 NES games per month. Fans - you tight gits, is that it? We want SNES games. Reggie - we hear you. Remember when Nintendo first announced there was going to be an online service that would launch in autumn 2017. It was only going to have a choice of 1 NES game or 1 SNES game per month,not both. After some heavy criticism across multiple sites they then announced they were delaying the service, looking to improve it and make it better value. One year later, they came back with their new improved service, 3 NES games per month but sometimes 2. "Nobody seems to like the idea of getting one NES or SNES game a month." "Your right, let's delay it a year and put our heads together and come up with something amazing"
"How about 3 NES Games per month! And then after a few months we will drop it down to 2!" I’ve said it on here before. I’m a Nintendo apologist to a fault, but even I’m sick of this online thing. There is really no reason that all NES first party games couldn’t have been available day one. There really is no reason SNES games haven’t made there way on the system. It’s like Nintendo didn’t look any further than the end of the year with the realease schedule. It really feels like little to no thought is being placed on Online at this point. And, while we are on dropping the ball, MyNintendo is just terrible. It has yet to reach any level they promised. Sorry about the rant...I think I’m okay, now. Tsuppari Oozumou! I've played that game a lot against my brother when we were kids! Though I didn't know that's the translated name. We just called it sumo wrestling. What a waste. What a waste. How can SMB2 be GOTY for 31 years when Knack 2 exists? @westman98 While Knack 2 is a mastapeece, Super Mario Bruddas 2 is a Picasso. It’s basically spaghetti and meatballs in art form. Finally! Been waiting on these two specifically for ages now! I don't even care we only got two, these are the last two I needed. I guess this means no SNES games will drop this month in a Nintendo Direct announcement, though. @fortius54 actually, the schedule for NESflix fits perfectly if we think about it: licensing complications means the service will have roughly the same library the VC did i.e. ~ 100 NES / 150 Famicom games total. At this rate, it'll take about 2 years to complete this library and, considering a console shelf life of 5-7 years then, well, it fits. SNESflix should be also hold roughly the same library its VC predecessor had, ~ 50 games. Is Nintendo Online still a thing? With these two it's basically all NES games needed (maybe aside from Castlevania). Onwards to SNES games! Aside from editing the roms to support netplay, & multiplayer, Nintendo really has no reason to drip release. At this hour, the only reason I can think of would be future-proofing any possibility of running out of games, while the console is still in its lifecycle. Plus, just like with VC, putting everything on at once risks people not subscribing for long, as a lot of people would mostly only play the games they like, or know; Drip releasing keeps people coming back, out of curiosity. Not everyone, of course. Nintendo should get more active about adding games more frequently. If I were to suggest an idea to them: they should add more systems, and release 1 for each system in the same update. I'm assuming they believe once other systems' games are added, that any interest in the Nes games will diminish past the point of marketing usefulness. I would say that's incorrect. As an example, I'm not every gamer type, but I still play my Nes. Edit #1: I would also suggest they make save file storage a freebie, or allow people to save them to an sd card. They could, in theory, avoid the cheaters who use their saves on repeat for unfair advantages, as well as the people who have hacked save files. It would just take extra effort on their part. Still not worth the asking price. Finally! I can play Super Mario Bros. 2 on the Switch! Plus Kirby's Adventure as well. Second month in a row with only 2 games. This time both were available in the NES Mini, despite the previous trend of giving us 2 previously available on the NES Mini and 1 new. Yeah, I’m happy with that. Real happy with that actually ! I don't think I've actually played one NES game on this service, except the special S versions they're releasing. I can sort of see why Nintendo have chosen to make Virtual Console go down this route because I don't think I actually would buy these games again for the 100th time. I wish Nintendo would release some obscure games over here, like they occasionally would on the Virtual Console. There must be somebody on the Treehouse team that would like to work on translating those Famicom games. By the way, I'm downloading the Japanese version of NES Online, because they did start to add some different games there, this month for instance they have Tsuppari Oozumô. Is this cool or not, I really can’t tell? Well that's nice, but dont really care, gave up on the online NES games a while back. Why would anyone want games they have no intention of playing be on the app? VC was far better that you could curate your own library as opposed to someone else making the decision for you. I've no intention of subscribing so why am I being denied a VC experience on the switch? An account system is in place so like my psp to vita classic ps1 games transfer over so should my VC games. If not I'd gladly pay a one time fee per gen to get my games transferred. There's over 400 games on VC. No reason they couldn't have started from there. Glad to have these two games on Switch. I like the library of NES games so far, but do hope we get the SNES app soon. Then we can all start asking for N64 games!! I wonder what other consoles might get added, I would imagine GBA and I hope GCN. Not sure if DS would make sense or if they would do GB/GBC. I guess time will tell, Nintendo likes to leave us in the dark as long as possible it seems. why are they now slowing the releases down to 2........at least this months selection are 2 good ones. Meanwhile on Game Pass Crackdown 3 / Shadow of the Tomb Raider / Batman Return to Arkham. I mean, I know it’s more expensive but Games with Gold February has Bloodstained: Curse of the Moon / Super Bomberman R / Assassin's Creed: Rogue / Star Wars Jedi Knight. PlayStation Plus has For Honor / Hitman First Season / Metal Gear Solid 4 (PS3) / Rogue Aces / Gunhouse / Divekick. I know, I know, they cost more but in some cases you get what you paid for. Not really digging going from 3 to 2 games a month. Surly there must be some NES titles that never saw release in Japan you could give us while Japan gets an exclusive Famicom game, right? Or you know, maybe get on with the SNES titles? @NinChocolate Great choices there, not many people even know about Shatterhand! I'd like to add a few more unknowns-- Vice: Project Doom, Power Blade, Power Blade 2, and Journey to Silius. Thank god they are finnally listening! I only JUST bought SMB2 too on 3DS VC thinking if it hadn't hit NES NSO yet it wasn't going to.... Well at least the money's going to a good cause. 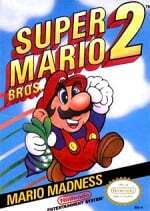 SMB2 was the only other game I really needed other than maybe Castlevania 2. After that the NES games are all kind of irrelevant to me. OTOH I really dislike Nintendo's new strategy of "Japan gets 50% more games" for the NES VC. I get that it's the home market, but they have an international market.....and Japan's not even their highest earner. Tsuppari Oozumou is the freaking best game that nobody outside of Japan realizes that they actually NEED. I got so into it when I first started playing that I started watching Sumo whenever its actually available on TV or even online. This and Joy Mech Fight alone are totally worth setting up a Japanese account. Excited to see what new features they will be putting in there. @GameOtaku I agree they should have started out with many games available, right out the gate. @Spidey-Scrub CANT TOP THE KING BABY!! This has been my plea as well but apparently some are happy with these reworked duds. I realize people like Kirby but I never cared for it although it is a good game for the era. This two per month makes me think I will not renew unless something substantial comes along. And what would be a good asking price? Nintendo paying you 20$ a year because you give them the honor to spend your time playing their games? It really is ridiculous that the dropped the already low amount of three monthly NES games to two.